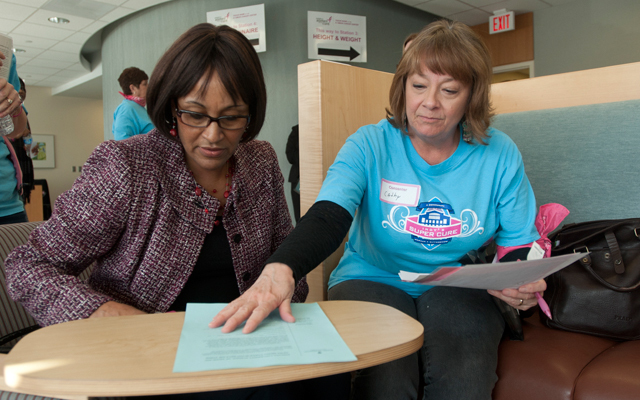 The event drew nearly 700 women of all ages and ethnic groups to provide healthy breast cancer tissue for researchers. During Super Bowl XLVI, the New York Giants, the New England Patriots and their legions of fans in the Lucas Oil Stadium stands sported a sea of red, blue and white, the predominant colors for both teams. But for the NFL and Indianapolis Super Bowl Host Committee, the unofficial color of this year’s event might just have been pink: the color most commonly associated with the worldwide fight against breast cancer. 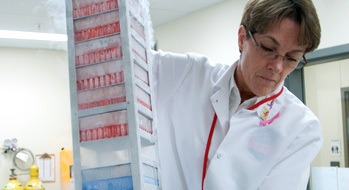 Thanks to a unique initiative called Indy’s Super Cure, the drive against the disease gained new tools for researchers to study, more funds to support scientific inquiry, and a heightened sense of awareness for thousands of people in Indy and potentially millions of people who followed the biggest sporting event in the world. 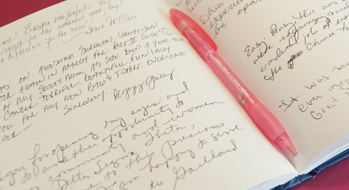 A full guestbook showed that Indy's Super Cure event was a success. The event, held the weekend before Super Bowl XLVI at the Indiana University Melvin and Bren Simon Cancer Center on the IUPUI campus, drew nearly 700 women of all ages and ethnic groups to provide healthy breast cancer tissue for researchers, more samples than the Susan G. Komen for the Cure® Tissue Bank (KTB) usually collects in a year. 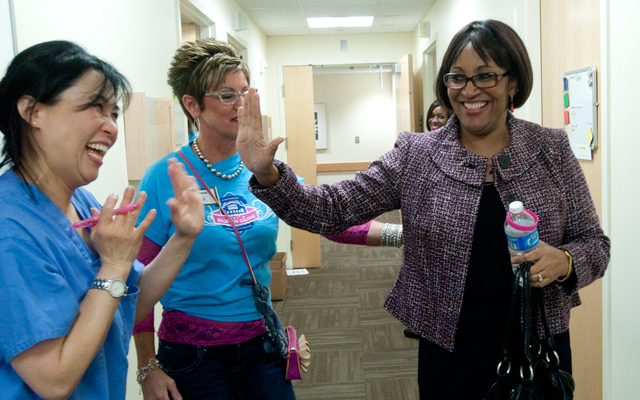 The IU Simon Cancer Center is the home of KTB, the first and only healthy breast tissue bank in the world. 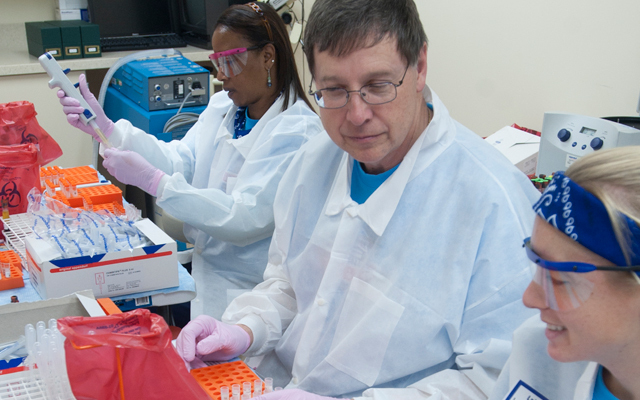 of the donations from minority groups, Indy’s Super Cure achieved one of its major goals, to provide researchers with a more representative cross section of the nation’s population groups. 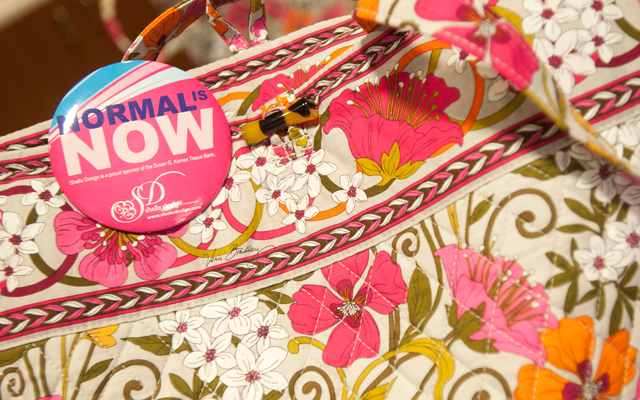 Pink was the color of the day during the Super Cure event. Indy’s Super Cure also increased awareness and exceeded a $1 million fundraising goal for the tissue bank. 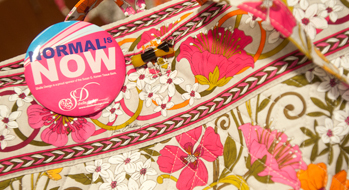 Awareness increased through considerable news coverage as well as grassroots efforts to reach targeted populations. 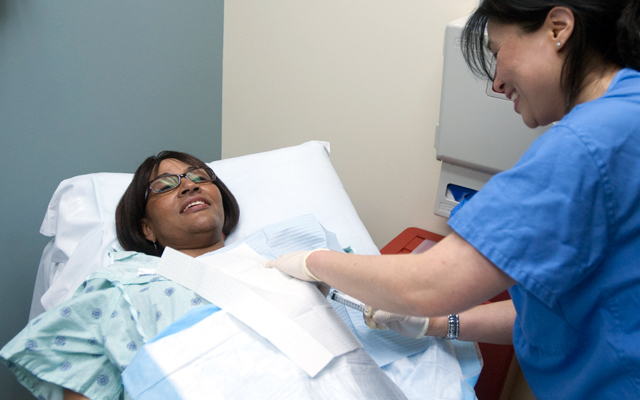 In fact, more than 1,900 women are now on the tissue bank’s interested donor list. 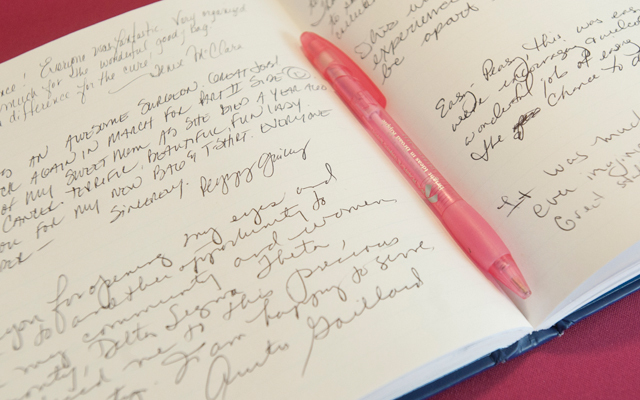 More than $1.5 million was raised for the tissue bank by individuals as well as sponsorships, table sales, and a silent auction at a November gala. Tiffany Olson, chair of Indy’s Super Cure, believes the initiative was a vital next step in the effort to eradicate the disease. “I can’t think of a better way to use the platform of the Super Bowl to make a difference that could positively affect the lives of people around the world,” Olson says.